Endurance Nation trains age-group triathletes looking to excel at triathlon. You have a job, a family and lots of stuff going on…and you want to be a triathlete — we can help. Our time-efficient methodology and focus on quality over quantity means less training hours without sacrificing speed. Over the last five years we have helped thousands of triathletes be their best…and in 2013 we are going to take it to the next level. TeamEN is the community side of our coaching services, a virtual triathlon team with a unique real-world presence — the numbers of EN athletes racing with each other and training together at our training camps create powerful opportunities for our members to come together and meet each other after months of training side by side in the virtual world. In an effort to improve on this unique aspect of Endurance Nation, we are making some big changes for the 2013 season and we wanted to take a few moments to let everyone know where we are headed. Why Lake Placid and Wisconsin? In our opinion, Lake Placid and Wisconsin are the “best” races for the Endurance Nation athlete. First, the Ironman® Wisconsin and Lake Placid bike courses are arguably the most challenging on the US Ironman® circuit. And with such a strong focus on teaching athletes how to race Ironman, it only make sense that we bring our well-rehearsed, smart athletes to courses where they can exercise these race execution skills against their lesser prepared competition. Second, Rich and Patrick know Wisconsin and Lake Placid inside out, with Rich having race Wisconsin 3x with a PR of 10:05 and having conducted a half dozen camps on the course. Patrick has raced Lake Placid six times, with a PR of 9:56 — he has led a Lake Placid camp every year since 2003. Over the years, we’ve also fielded our largest numbers of Ironman® athletes at these races, so the Team, as an organization, has an incredible amount of experience with these events. We are very, very confident we can prepare our athletes for success at Lake Placid and Wisconsin. These races have excellent timing that works for athletes from a wide variety of geographic regions, and we already have large numbers of members and fans very close to these events, making these races very convenient and (relatively) affordable for them. Nearly all of our athletes are either targeting the half Ironman® distance as their A-race(s) and/or are doing one or more halfs in route to their A-race full Ironman® event. By not formally targeting half Ironman® events, we would be effectively ignoring the priorities of a large number of our athletes. Midwest: We have close to 100 athletes within a 300 mile radius of Ironman® Wisconsin. Targeting both Racine and Wisconsin gives these folks convenient events around which to plan their season and race at together. In addition, many Ironman® Wisconsin athletes also race Racine, so Racine + Wisconsin is a natural fit. Northeast: A very large number of EN athletes are located in the Norteast and therefore Quassy + Lake Placid is a great fit for these folks as well. In 2012 we conducted “triathlon rallies” on the Ironman® Texas, Lake Placid, Louisville, and Wisconsin course. 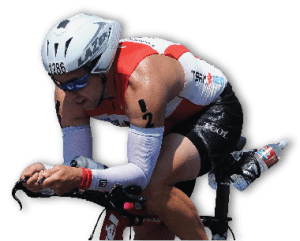 The EN Triathlon Rally is our answer to the $$$$ Ironman® training camps that other coaching organizations offer — we offer similar training on the course, much better (by all accounts) course-specific race execution discussions…all at a fraction of the price of what other camps charge. Each of these rallies have been attended by 60-120 athletes, per year, every year since 2010. Endurance Nation members and fans in the Northeast can join us at Quassy, the Lake Placid rally, and / or Ironman® Lake Placid. Members and fans in the Midwest can plug into the EN mojo at Racine, the Wisconsin rally, and / or Ironman® Wisconsin. Reducing the coaches’ presence at Ironman® races (ie, Rich and Patrick will no longer be at every full Ironman® event, as they have since well before we founded the team in 2007) and conducting two vs four triathlon rallies, frees us to create more value for our members by coming to them for a day of focused learning and instruction. These will take place between November 2012 and March 2013. Discussions on training and racing with power, pace, season planning, endurance sports nutrition, and much more. We plan to host these clinics in Los Angeles, Rhode Island, Boston, Chicago, Atlanta, Clermont, Seattle, Washington DC, Texas, and wherever else our athletes want us to go! I’m interested in joining Endurance Nation for 2013 but I’m not racing these events. Is there still a place for me on the Team? Yes! Our focus for 2013 has required us to create “Master Season Plans” for our athletes, outlining our “best case” season plans for athletes with A-races a specific times of the year. We are also in the process of rewriting all of our training plans, creating entirely new ones based on member feedback (these will be our 10th edition!) better organizing our members-only content, and much more…all of which I’ll explain in more detail in our next installment. Please go here to read about our new triathlon training and coaching tools for 2013. Interested in Joining Endurance Nation for Your 2013 Season? You’ll receive a limited-time-only invitation to join the team at a significant discount when we open the doors again on October 1st. Thanks again for reading and we’ll see you online or at the races! IM Lake Placid is filled for 2013. Do you have slots for those who attend your camps? Mike, we do not have an official arrangement with Ironman, sorry. You can look at a travel group such as Ken Glah’s http://www.endurancesportstravel.com as they often do slots with lodging and other travel options. There’s also the option for a community slot if they are still open? Good luck! I am sign up for Ironman Mont-Tremblant in August 2013. I work 12 hour shifts day and night throughout the whole week., meaning my work schedule is never the same each week. When I am scheduled for night shift(7p to7am) how would I schedule my workouts? I would not want to be to tired to work and I may not be able to work out after getting off night shift. Would you need a copy of my work schedule in order to have the training fit my work schedule. I know my work schedule for a period of a one to two month time frame(I schedule my work time frame every eight weeks for a eight week period, so I do know at the minimal a four week work schedule up to 12 weeks). Yes it’s a crazy work schedule. Thanks, I trained for a Triple-T race last year, swimming 2500 yds x3/week, running35 miles/week and biking <100 miles/week, my acculative time was 14:24. Any comment would be greatly appreciated. Thanks. I want to sign up for the wait list – the page is not rendering on my pc properly. I checked, it says you are already subscribed!!! Stay tuned for January!! !